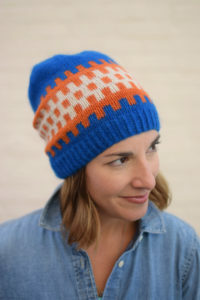 The eye-catching graphics that adorn this colorful set are easier to knit than you’d think! Rather than traditional stranded colorwork, slip stitches are used to create this bold effect. 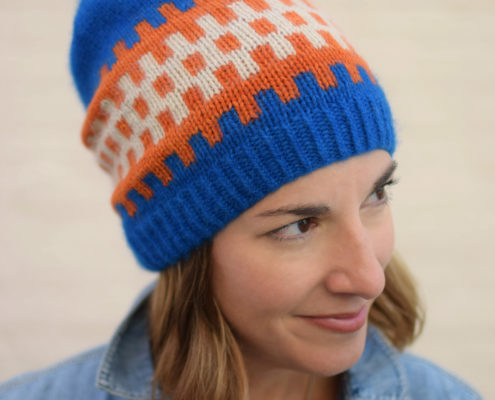 Using only one color at a time, the magic of mosaic knitting gives this hat and mitt set a fantastic pop of color to brighten up any day!